Exactly what business is the AQE involved in? 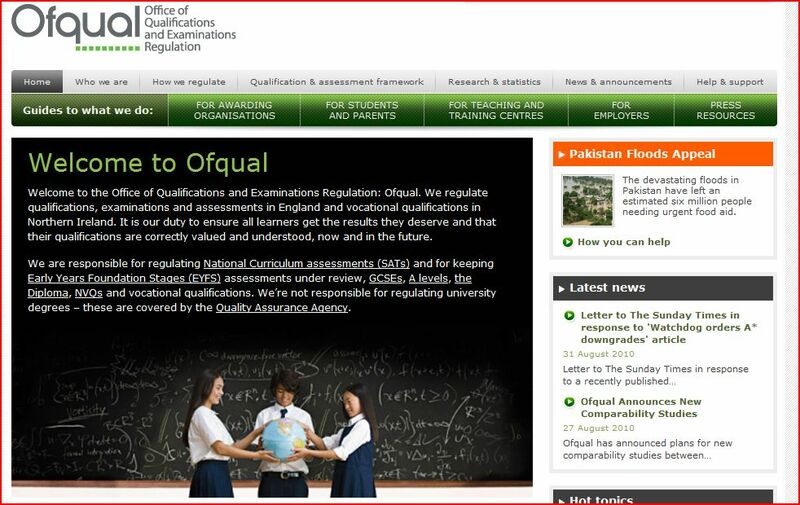 The AQE’s recent spending of money, obtained from grammar school entrance tests, on advertisements instead of providing statements and interviews from headmasters and teachers with their local newspapers smacks of misguided influences. 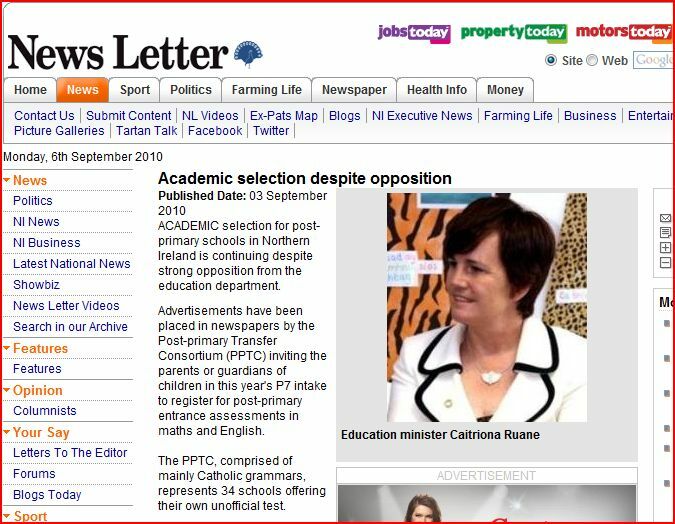 Are schools such as Portora Royal, Strathern and Methodist College ready to abandon academic selection? 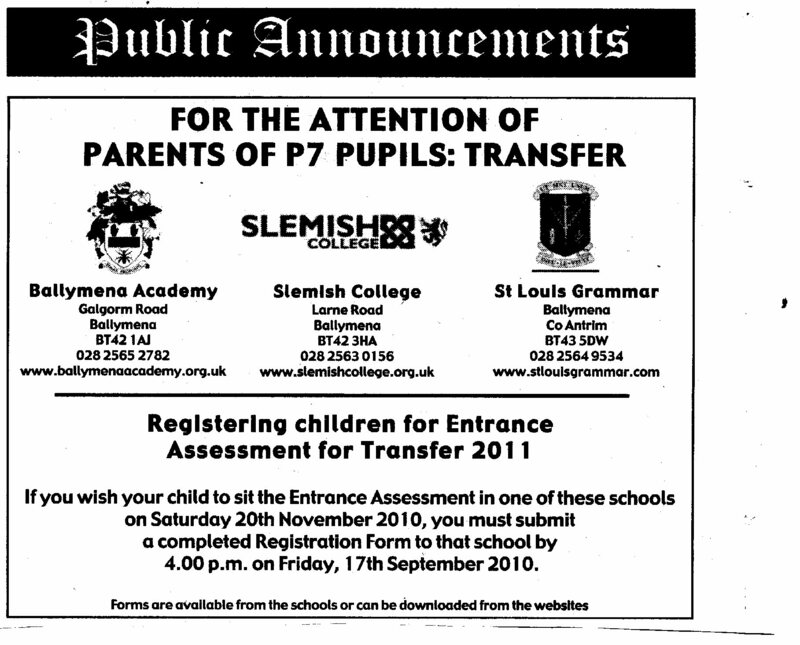 Parents should be aware of important facts that the PPTC and GL Assessment have refused to reveal. 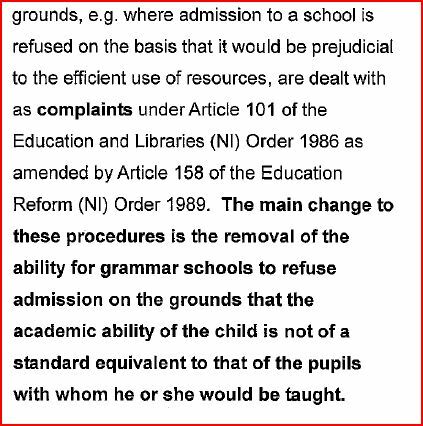 The specification for the GL Assessment test commissioned by the PPTC has been kept secret in breech of testing standards despite requests made to Ballymena Academy. Ronnie Hazzard, the principal, has been a spokesman for the group of mainly Catholic grammar schools. Mr Hazzard is aware of his refusal to comply with the Freedom of Information Act 2000 and persists in denying the remedy despite repeated requests for disclosure. 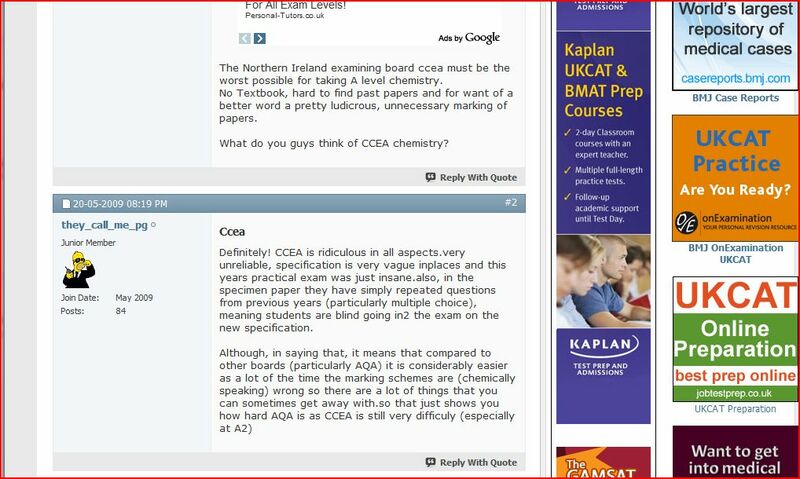 Mr William “Billy” Young, spokesperson for AQE, failed to mention that the CEA test has a published specification. Parents can see for themselves what their children are to be tested on. Since this is a competition for two different tests why is Billy Young failing to point out the glaring deficiencies of the PPTC test? He has been made aware of the problems of the untested test but for some, as yet undeclared reason, refuses to mention these serious and damaging deficiencies in public and to primary school parents in particular. Mr Young has suggested that since the PPTC GL Assessment test was electronically marked that the test was free. A FOI request by PACE elicited the information that PPTC schools had paid approx. one quarter of a million pounds to GL Assessment for the 2010 tests. 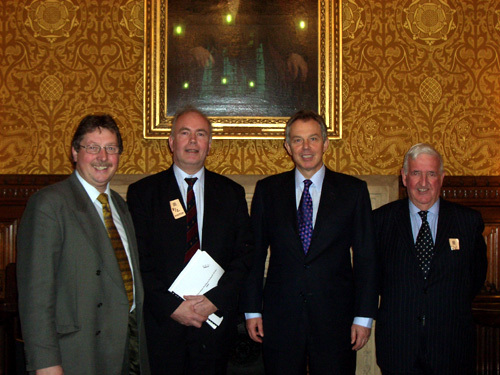 How many men in the photo above have been frugal with the truth about the politics of education in Northern Ireland?